Today I have the "girly" and round version of a new home card. I know a young lady who is moving out on her own soon. I used the Mojo Monday sketch. You can play along, too! 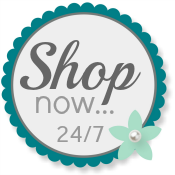 Please use my website for your Stampin' Up! needs. The girly one is so,so cute! I love your colors! Sweet card! They are both wonderful cards, but I love the girly one the best! The colors are awesome!